In this episode, Simon speaks with Andrew Crudge (Senior Product Manager, FSx) about this newly released service, capabilities available to customers and how to make the best use of it in your environment. Happy New Year! Join us this January to learn about AWS services and solutions. The AWS Online Tech Talks are live, online presentations that cover a broad range of topics at varying technical levels. These tech talks, led by AWS solutions architects and engineers, feature technical deep dives, live demonstrations, customer examples, and Q&A with AWS experts. Register Now! January 22, 2019 | 9:00 AM – 10:00 AM PT – Deep Dive Into AWS Cloud Map: Service Discovery for All Your Cloud Resources – Learn how to increase your application availability with AWS Cloud Map, a new service that lets you discover all your cloud resources. January 22, 2019 | 1:00 PM – 2:00 PM PT – – Increase Your Data Engineering Productivity Using Amazon EMR Notebooks – Learn how to develop analytics and data processing applications faster with Amazon EMR Notebooks. January 29, 2019 | 1:00 PM – 2:00 PM PT – Build Better Workloads with the AWS Well-Architected Framework and Tool – Learn how to apply architectural best practices to guide your cloud migration. 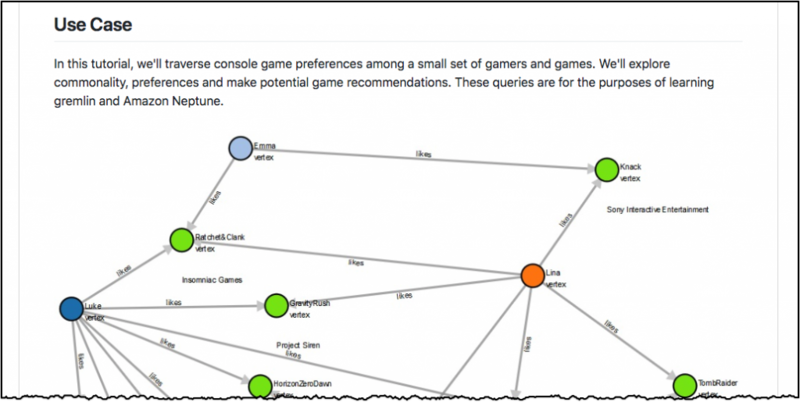 January 29, 2019 | 9:00 AM – 10:00 AM PT – How To Visually Develop IoT Applications with AWS IoT Things Graph – See how easy it is to build IoT applications by visually connecting devices & web services. January 21, 2019 | 11:00 AM – 12:00 PM PT – Build Secure, Offline, and Real Time Enabled Mobile Apps Using AWS AppSync and AWS Amplify – Learn how to easily build secure, cloud-connected data-driven mobile apps using AWS Amplify, GraphQL, and mobile-optimized AWS services. January 30, 2019 | 9:00 AM – 10:00 AM PT – Improve Your Application’s Availability and Performance with AWS Global Accelerator – Learn how to accelerate your global latency-sensitive applications by routing traffic across AWS Regions. January 29, 2019 | 11:00 AM – 12:00 PM PT – Using AWS RoboMaker Simulation for Real World Applications – Learn how AWS RoboMaker simulation works and how you can get started with your own projects. January 23, 2019 | 1:00 PM – 2:00 PM PT – Customer Showcase: How Dow Jones Uses AWS to Create a Secure Perimeter Around Its Web Properties – Learn tips and tricks from a real-life example on how to be in control of your cloud security and automate it on AWS. January 30, 2019 | 11:00 AM – 12:00 PM PT – Introducing AWS Key Management Service Custom Key Store – Learn how you can generate, store, and use your KMS keys in hardware security modules (HSMs) that you control. January 31, 2019 | 9:00 AM – 10:00 AM PT – Nested Applications: Accelerate Serverless Development Using AWS SAM and the AWS Serverless Application Repository – Learn how to compose nested applications using the AWS Serverless Application Model (SAM), SAM CLI, and the AWS Serverless Application Repository. January 31, 2019 | 11:00 AM – 12:00 PM PT – Deep Dive Into Lambda Layers and the Lambda Runtime API – Learn how to use Lambda Layers to enable re-use and sharing of code, and how you can build and test Layers locally using the AWS Serverless Application Model (SAM). January 28, 2019 | 11:00 AM – 12:00 PM PT – The Amazon S3 Storage Classes – Learn about the Amazon S3 Storage Classes and how to use them to optimize your storage resources. January 30, 2019 | 1:00 PM – 2:00 PM PT – Deep Dive on Amazon FSx for Windows File Server: Running Windows on AWS – Learn how to deploy Amazon FSx for Windows File Server in some of the most common use cases. Moving to AWS can help to strengthen your security posture by eliminating many of the risks present in on-premise deployments. 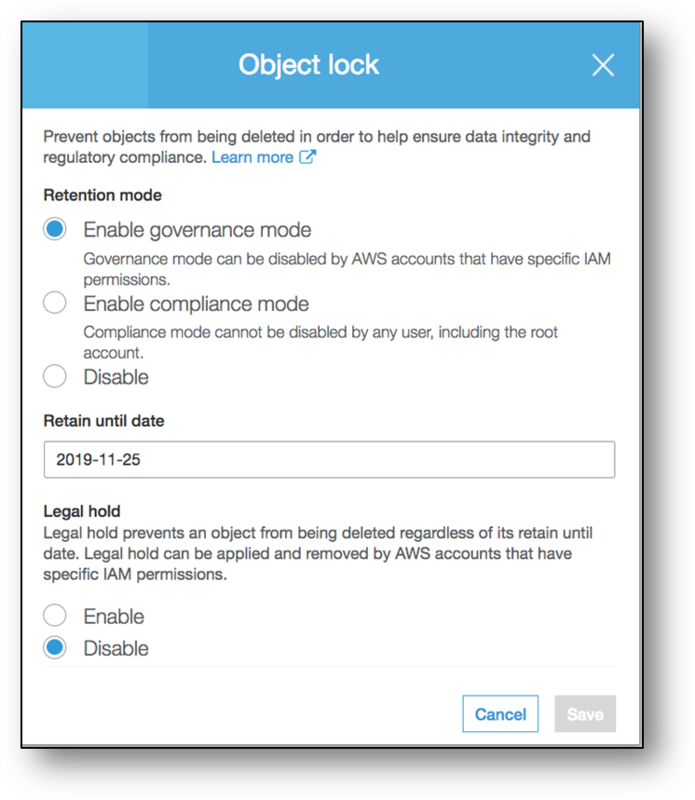 It is still essential to consider how to best use AWS security controls and mechanisms to ensure the security of your workload. Security can often be a significant concern in lift-and-shift workloads, especially for legacy workloads where modern encryption and security features may not present. By making use of AWS security features you can significantly improve the security posture of a lift-and-shift workload, even if it lacks native support for modern security best practices. Legacy applications are often the subject of a lift-and-shift. Such migrations can help reduce risks by moving away from out of date hardware but security risks are often harder to manage. Many legacy applications leverage HTTP or other plaintext protocols that are vulnerable to all manner of attacks. Often, modifying a legacy application’s codebase to implement TLS is untenable, necessitating other options. One comparatively simple approach is to leverage an Application Load Balancer or a Classic Load Balancer to provide SSL offloading. In this scenario, the load balancer would be exposed to users, while the application servers that only support plaintext protocols will reside within a subnet which is can only be accessed by the load balancer. The load balancer would perform the decryption of all traffic destined for the application instance, forwarding the plaintext traffic to the instances. 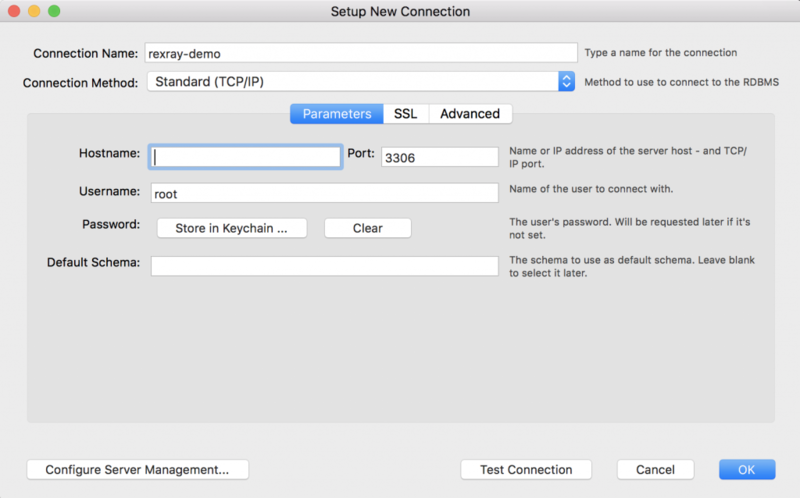 This allows you to use encryption on traffic between the client and the load balancer, leaving only internal communication between the load balancer and the application in plaintext. Often this approach is sufficient to meet security requirements, however, in more stringent scenarios it is never acceptable for traffic to be transmitted in plaintext, even if within a secured subnet. In this scenario, a sidecar can be used to eliminate plaintext traffic ever traversing the network. One approach to providing encryption to legacy applications is to leverage what’s often termed the “sidecar pattern.” The sidecar pattern entails a second process acting as a proxy to the legacy application. The legacy application only exposes its services via the local loopback adapter and is thus accessible only to the sidecar. 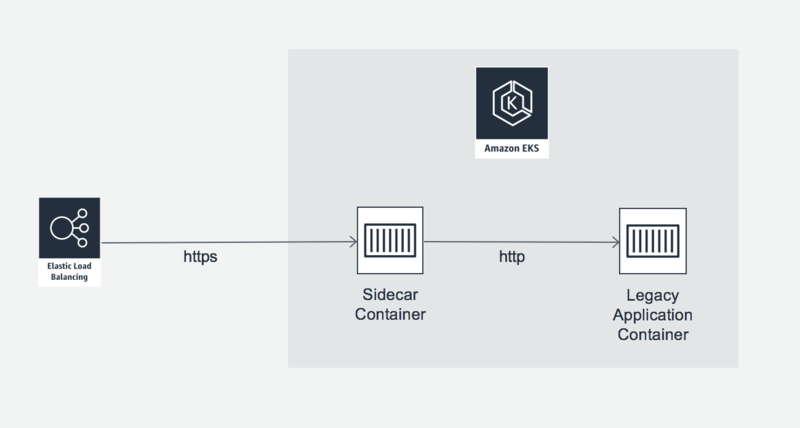 In turn the sidecar acts as an encrypted proxy, exposing the legacy application’s API to external consumers via TLS. As unencrypted traffic between the sidecar and the legacy application traverses the loopback adapter, it never traverses the network. This approach can help add encryption (or stronger encryption) to legacy applications when it’s not feasible to modify the original codebase. A common approach to implanting sidecars is through container groups such as pod in EKS or a task in ECS. Having the sidecar dynamically modify the configuration for a legacy application based upon some external factor, such as the output of Lambda function, SNS event or DynamoDB write. Having the sidecar write application state to a cache or database. Often applications will write state to the local disk. This can be problematic for autoscaling or disaster recovery, whereby having the state easily accessible to other instances is advantages. To facilitate this, the sidecar can write state to Amazon S3, Amazon DynamoDB, Amazon Elasticache or Amazon RDS. A sidecar requires customer development, but it doesn’t require any modification of the lift-and-shifted application. A sidecar treats the application as a blackbox and interacts with it via its API, configuration file, or other standard mechanism. Amazon GuardDuty: a continuous monitoring system which analyzes AWS CloudTrail Events, Amazon VPC Flow Log and DNS Logs. GuardDuty can detect threats and trigger an automated response. These services can help detect security problems and implement a response in real time, achieving a significantly strong posture than traditional security strategies. You can build a DevSecOps strategy around a lift-and-shift workload using these services, without having to modify the lift-and-shift application. There are many opportunities for taking advantage of AWS services and features to improve a lift-and-shift workload. Without any alteration to the application you can strengthen your security posture by utilizing AWS security services and by making small environmental and architectural changes that can help alleviate the challenges of legacy workloads. Dr. Jonathan Shapiro-Ward is an AWS Solutions Architect based in Toronto. He helps customers across Canada to transform their businesses and build industry leading cloud solutions. He has a background in distributed systems and big data and holds a PhD from the University of St Andrews. Lift-and-shift is the process of migrating a workload from on premise to AWS with little or no modification. A lift-and-shift is a common route for enterprises to move to the cloud, and can be a transitionary state to a more cloud native approach. This is the second blog post in a three-part series which investigates how to optimize a lift-and-shift workload. The first post is about performance. A key concern that many customers have with a lift-and-shift is cost. If you move an application as is from on-prem to AWS, is there any possibility for meaningful cost savings? By employing AWS services, in lieu of self-managed EC2 instances, and by leveraging cloud capability such as auto scaling, there is potential for significant cost savings. In this blog post, we will discuss a number of AWS services and solutions that you can leverage with minimal or no change to your application codebase in order to significantly reduce management costs and overall Total Cost of Ownership (TCO). Even if you can’t modify your application, you can change the way you deploy your application. The adopting-an-infrastructure-as-code approach can vastly improve the ease of management of your application, thereby reducing cost. 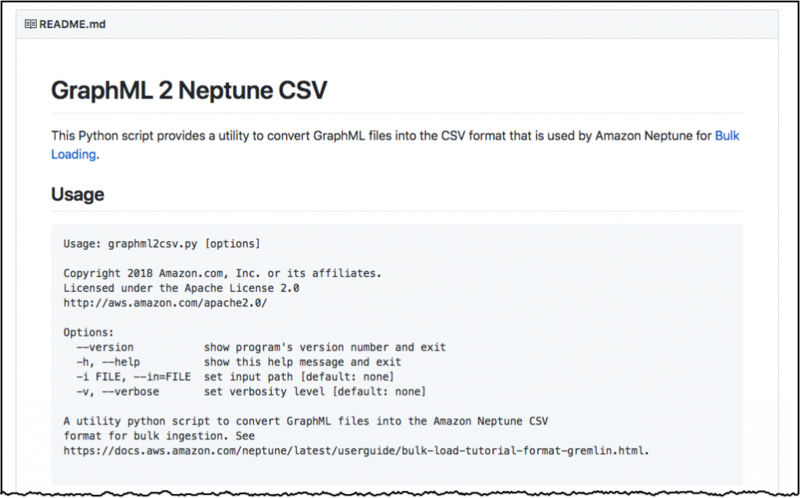 By templating your application through Amazon CloudFormation, Amazon OpsWorks, or Open Source tools you can make deploying and managing your workloads a simple and repeatable process. As part of the lift-and-shift process, rationalizing the workload into a set of templates enables less time to spent in the future deploying and modifying the workload. It enables the easy creation of dev/test environments, facilitates blue-green testing, opens up options for DR, and gives the option to roll back in the event of error. Automation is the single step which is most conductive to improving ease of management. A first initial consideration around cost should be the purchasing model for any EC2 instances. Reserved Instances (RIs) represent a 1-year or 3-year commitment to EC2 instances and can enable up to 75% cost reduction (over on demand) for steady state EC2 workloads. They are ideal for 24/7 workloads that must be continually in operation. An application requires no modification to make use of RIs. An alternative purchasing model is EC2 spot. Spot instances offer unused capacity available at a significant discount – up to 90%. Spot instances receive a two-minute warning when the capacity is required back by EC2 and can be suspended and resumed. Workloads which are architected for batch runs – such as analytics and big data workloads – often require little or no modification to make use of spot instances. Other burstable workloads such as web apps may require some modification around how they are deployed. A final alternative is on-demand. For workloads that are not running in perpetuity, on-demand is ideal. Workloads can be deployed, used for as long as required, and then terminated. By leveraging some simple automation (such as AWS Lambda and CloudWatch alarms), you can schedule workloads to start and stop at the open and close of business (or at other meaningful intervals). This typically requires no modification to the application itself. For workloads that are not 24/7 steady state, this can provide greater cost effectiveness compared to RIs and more certainty and ease of use when compared to spot. Amazon FSx for Windows File Server provides a fully managed Windows filesystem that has full compatibility with SMB and DFS and full AD integration. Amazon FSx is an ideal choice for lift-and-shift architectures as it requires no modification to the application codebase in order to enable compatibility. Windows based applications can continue to leverage standard, Windows-native protocols to access storage with Amazon FSx. 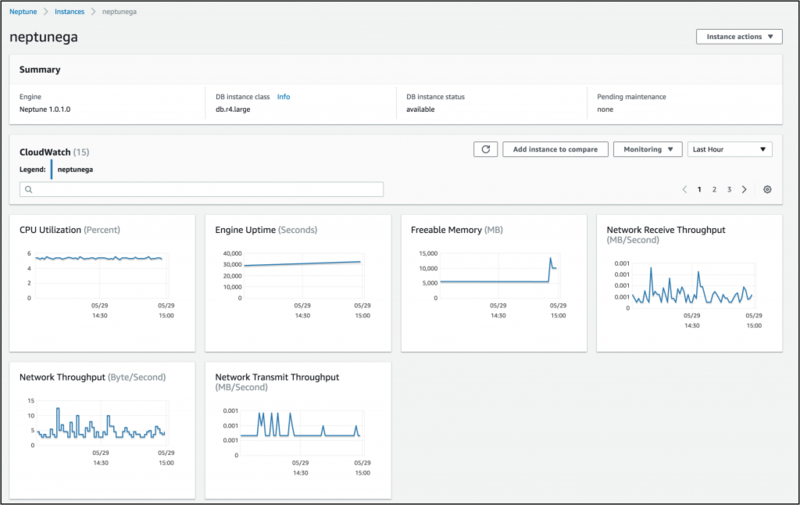 It enables users to avoid having to deploy and manage their own fileservers – eliminating the need for patching, automating, and managing EC2 instances. Moreover, it’s easy to scale and minimize costs, since Amazon FSx offers a pay-as-you-go pricing model. Amazon Elastic File System (EFS) provides high performance, highly available multi-attach storage via NFS. EFS offers a drop-in replacement for existing NFS deployments. This is ideal for a range of Linux and Unix usecases as well as cross-platform solutions such as Enterprise Java applications. EFS eliminates the need to manage NFS infrastructure and simplifies storage concerns. Moreover, EFS provides high availability out of the box, which helps to reduce single points of failure and avoids the need to manually configure storage replication. Much like Amazon FSx, EFS enables customers to realize cost improvements by moving to a pay-as-you-go pricing model and requires a modification of the application. Amazon MQ is a managed message broker service that provides compatibility with JMS, AMQP, MQTT, OpenWire, and STOMP. These are amongst the most extensively used middleware and messaging protocols and are a key foundation of enterprise applications. Rather than having to manually maintain a message broker, Amazon MQ provides a performant, highly available managed message broker service that is compatible with existing applications. To use Amazon MQ without any modification, you can adapt applications that leverage a standard messaging protocol. In most cases, all you need to do is update the application’s MQ endpoint in its configuration. Subsequently, the Amazon MQ service handles the heavy lifting of operating a message broker, configuring HA, fault detection, failure recovery, software updates, and so forth. This offers a simple option for reducing management overhead and improving the reliability of a lift-and-shift architecture. What’s more is that applications can migrate to Amazon MQ without the need for any downtime, making this an easy and effective way to improve a lift-and-shift. 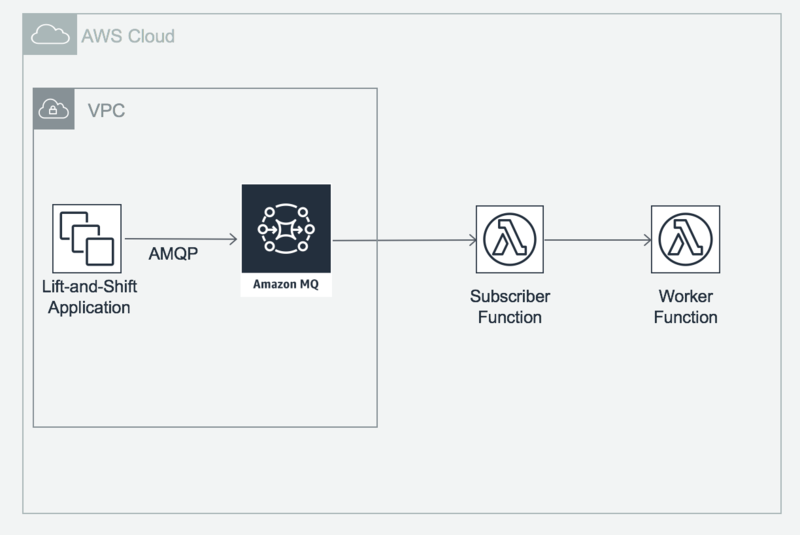 You can also use Amazon MQ to integrate legacy applications with modern serverless applications. 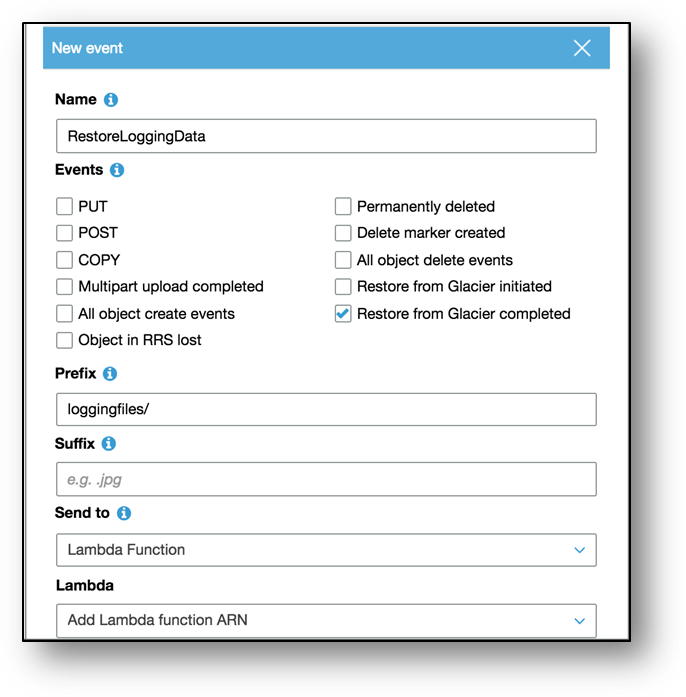 Lambda functions can subscribe to MQ topics and trigger serverless workflows, enabling compatibility between legacy and new workloads. Lift-and-shift workloads which include a streaming data component are often built around Apache Kafka. There is a certain amount of complexity involved in operating a Kafka cluster which incurs management and operational expense. Amazon Kinesis is a managed alternative to Apache Kafka, but it is not a drop-in replacement. At re:Invent 2018, we announced the launch of Amazon Managed Streaming Kafka (MSK) in public preview. MSK provides a managed Kafka deployment with pay-as-you-go pricing and an acts as a drop-in replacement in existing Kafka workloads. MSK can help reduce management costs and improve cost efficiency and is ideal for lift-and-shift workloads. A significant portion of any web application is static content. This includes videos, image, text, and other content that changes seldom, if ever. In many lift-and-shifted applications, web servers are migrated to EC2 instances and host all content – static and dynamic. Hosting static content from an EC2 instance incurs a number of costs including the instance, EBS volumes, and likely, a load balancer. By moving static content to S3, you can significantly reduce the amount of compute required to host your web applications. In many cases, this change is non-disruptive and can be done at the DNS or CDN layer, requiring no change to your application. There are numerous opportunities for reducing the cost of a lift-and-shift. Without any modification to the application, lift-and-shift workloads can benefit from cloud-native features. By using AWS services and features, you can significantly reduce the undifferentiated heavy lifting inherent in on-prem workloads and reduce resources and management overheads. Many organizations begin their cloud journey with a lift-and-shift of applications from on-premise to AWS. This approach involves migrating software deployments with little, or no, modification. A lift-and-shift avoids a potentially expensive application rewrite but can result in a less optimal workload that a cloud native solution. For many organizations, a lift-and-shift is a transitional stage to an eventual cloud native solution, but there are some applications that can’t feasibly be made cloud-native such as legacy systems or proprietary third-party solutions. There are still clear benefits of moving these workloads to AWS, but how can they be best optimized? In this blog series post, we’ll look at different approaches for optimizing a black box lift-and-shift. We’ll consider how we can significantly improve a lift-and-shift application across three perspectives: performance, cost, and security. We’ll show that without modifying the application we can integrate services and features that will make a lift-and-shift workload cheaper, faster, more secure, and more reliable. In this first blog, we’ll investigate how a lift-and-shift workload can have improved performance through leveraging AWS features and services. Performance gains are often a motivating factor behind a cloud migration. On-premise systems may suffer from performance bottlenecks owing to legacy infrastructure or through capacity issues. When performing a lift-and-shift, how can you improve performance? Cloud computing is famous for enabling horizontally scalable architectures but many legacy applications don’t support this mode of operation. Traditional business applications are often architected around a fixed number of servers and are unable to take advantage of horizontal scalability. Even if a lift-and-shift can’t make use of auto scaling groups and horizontal scalability, you can achieve significant performance gains by moving to AWS. The easiest alternative to scale up to compute is vertical scalability. AWS provides the widest selection of virtual machine types and the largest machine types. Instances range from small, burstable t3 instances series all the way to memory optimized x1 series. By leveraging the appropriate instance, lift-and-shifts can benefit from significant performance. Depending on your workload, you can also swap out the instances used to power your workload to better meet demand. For example, on days in which you anticipate high load you could move to more powerful instances. This could be easily automated via a Lambda function. The x1 family of instances offers considerable CPU, memory, storage, and network performance and can be used to accelerate applications that are designed to maximize single machine performance. The x1e.32xlarge instance, for example, offers 128 vCPUs, 4TB RAM, and 14,000 Mbps EBS bandwidth. This instance is ideal for high performance in-memory workloads such as real time financial risk processing or SAP Hana. Through selecting the appropriate instance types and scaling that instance up and down to meet demand, you can achieve superior performance and cost effectiveness compared to running a single static instance. This affords lift-and-shift workloads far greater efficiency that their on-prem counterparts. EC2 Placement groups determine how you deploy instances to underlying hardware. One can either choose to cluster instances into a low latency group within a single AZ or spread instances across distinct underlying hardware. Both types of placement groups are useful for optimizing lift-and-shifts. The spread placement group is valuable in applications that rely on a small number of critical instances. 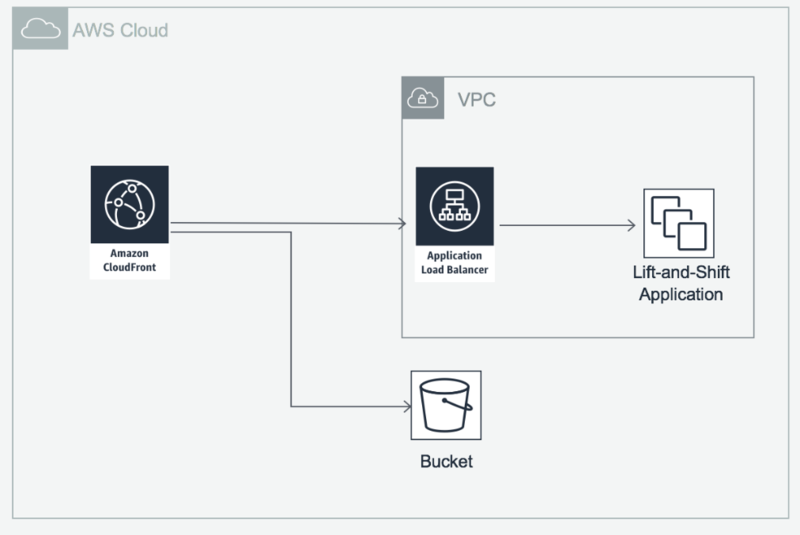 If you can’t modify your application to leverage auto scaling, liveness probes, or failover, then spread placement groups can help reduce the risk of simultaneous failure while improving the overall reliability of the application. Cluster placement groups help improve network QoS between instances. When used in conjunction with enhanced networking, cluster placement groups help to ensure low latency, high throughput, and high network packets per second. This is beneficial for chatty applications and any application that leveraged physical co-location for performance on-prem. There is no additional charge for using placement groups. You can extend this approach further with C5n instances. These instances offer 100Gbps networking and can be used in placement group for the most demanding networking intensive workloads. Using both placement groups and the C5n instances require no modification to your application, only to how it is deployed – making it a strong solution for providing network performance to lift-and-shift workloads. Amazon EBS is the most common storage service involved with lift-and-shifts. EBS provides block storage that can be attached to EC2 instances and formatted with a typical file system such as NTFS or ext4. There are several different EBS types, ranging from inexpensive magnetic storage to highly performant provisioned IOPS SSDs. There are also storage-optimized instances that offer high performance EBS access and NVMe storage. By utilizing the appropriate type of EBS volume and instance, a compromise of performance and price can be achieved. RAID offers a further option to optimize EBS. EBS utilizes RAID 1 by default, providing replication at no additional cost, however an EC2 instance can apply other RAID levels. For instance, you can apply RAID 0 over a number of EBS volumes in order to improve storage performance. In addition to EBS, EC2 instances can utilize the EC2 instance store. 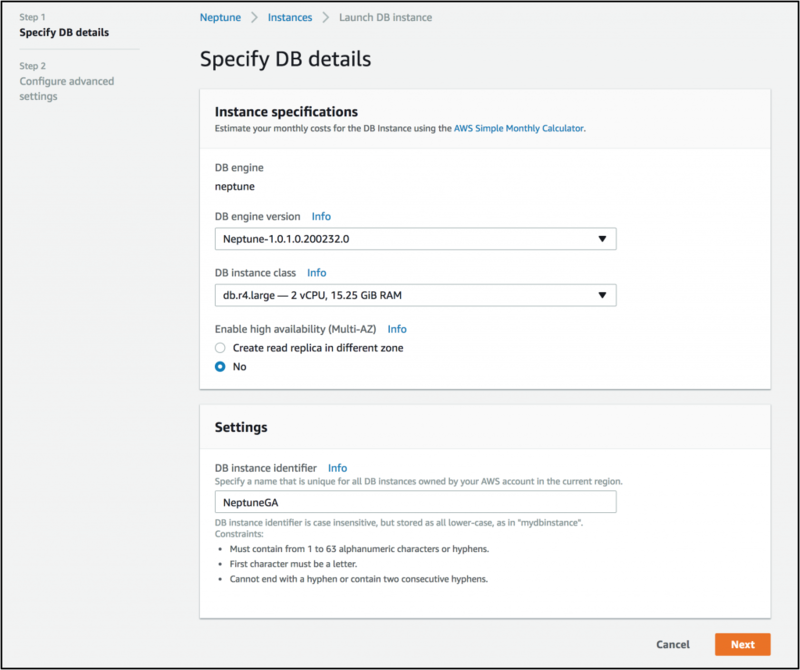 The instance store provides ephemeral direct attached storage to EC2 instances. 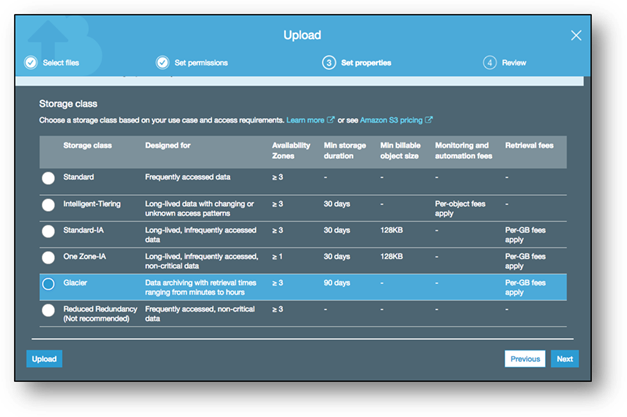 The instance store is included with the EC2 instance and provides a facility to store non-persistent data. This makes it ideal for temporary files that an application produces, which require performant storage. Both EBS and the instance store are expose to the EC2 instance as block level devices, and the OS can use its native management tools to format and mount these volumes as per a traditional disk – requiring no significant departure from the on prem configuration. In several instance types including the C5d and P3d are equipped with local NVMe storage which can support extremely IO intensive workloads. Not all workloads require high performance storage. In many cases finding a compromise between price and performance is top priority. Amazon S3 provides highly durable, object storage at a significantly lower price point than block storage. S3 is ideal for a large number of use cases including content distribution, data ingestion, analytics, and backup. S3, however, is accessible via a RESTful API and does not provide conventional file system semantics as per EBS. This may make S3 less viable for applications that you can’t easily modify, but there are still options for using S3 in such a scenario. An option for leveraging S3 is AWS Storage Gateway. Storage Gateway is a virtual appliance than can be run on-prem or on EC2. The Storage Gateway appliance can operate in three configurations: file gateway, volume gateway and tape gateway. File gateway provides an NFS interface, Volume Gateway provides an iSCSI interface, and Tape Gateway provides an iSCSI virtual tape library interface. This allows files, volumes, and tapes to be exposed to an application host through conventional protocols with the Storage Gateway appliance persisting data to S3. This allows an application to be agnostic to S3 while leveraging typical enterprise storage protocols. A lift-and-shift can achieve significant performance gains on AWS by making use of a range of instance types, storage services, and other features. Even without any modification to the application, lift-and-shift workloads can benefit from cutting edge compute, network, and IO which can help realize significant, meaningful performance gains. Join us in the next couple weeks to learn about some of the new service and feature launches from re:Invent 2018. Learn about features and benefits, watch live demos and ask questions! 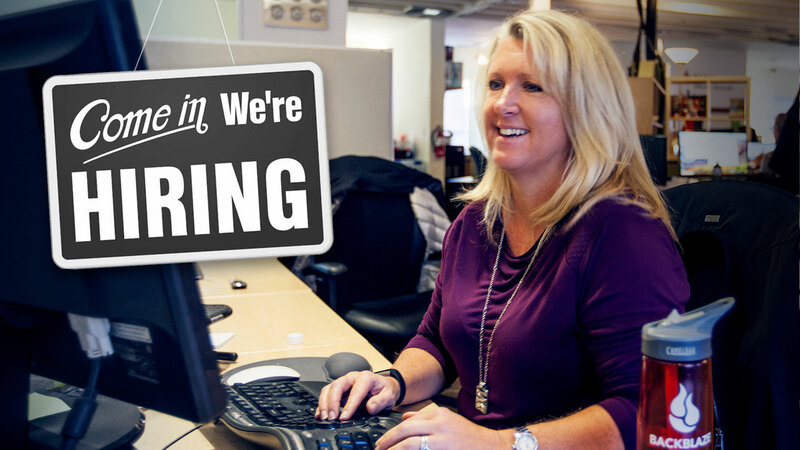 We’ll have AWS experts online to answer any questions you may have. Register today! December 19, 2018 | 01:00 PM – 02:00 PM PT – Developing Deep Learning Models for Computer Vision with Amazon EC2 P3 Instances – Learn about the different steps required to build, train, and deploy a machine learning model for computer vision. December 11, 2018 | 01:00 PM – 02:00 PM PT – Introduction to AWS App Mesh – Learn about using AWS App Mesh to monitor and control microservices on AWS. December 10, 2018 | 11:00 AM – 12:00 PM PT – Introduction to AWS Lake Formation – Build a Secure Data Lake in Days – AWS Lake Formation (coming soon) will make it easy to set up a secure data lake in days. With AWS Lake Formation, you will be able to ingest, catalog, clean, transform, and secure your data, and make it available for analysis and machine learning. December 12, 2018 | 11:00 AM – 12:00 PM PT – Introduction to Amazon Managed Streaming for Kafka (MSK) – Learn about features and benefits, use cases and how to get started with Amazon MSK. December 10, 2018 | 01:00 PM – 02:00 PM PT – Introduction to Amazon RDS on VMware – Learn how Amazon RDS on VMware can be used to automate on-premises database administration, enable hybrid cloud backups and read scaling for on-premises databases, and simplify database migration to AWS. December 13, 2018 | 09:00 AM – 10:00 AM PT – Serverless Databases with Amazon Aurora and Amazon DynamoDB – Learn about the new serverless features and benefits in Amazon Aurora and DynamoDB, use cases and how to get started. December 19, 2018 | 11:00 AM – 12:00 PM PT – How to Use “Minimum Viable Refactoring” to Achieve Post-Migration Operational Excellence – Learn how to improve the security and compliance of your applications in two weeks with “minimum viable refactoring”. December 17, 2018 | 11:00 AM – 12:00 PM PT – Introduction to New AWS IoT Services – Dive deep into the AWS IoT service announcements from re:Invent 2018, including AWS IoT Things Graph, AWS IoT Events, and AWS IoT SiteWise. December 10, 2018 | 09:00 AM – 10:00 AM PT – Introducing Amazon SageMaker Ground Truth – Learn how to build highly accurate training datasets with machine learning and reduce data labeling costs by up to 70%. December 11, 2018 | 09:00 AM – 10:00 AM PT – Introduction to AWS DeepRacer – AWS DeepRacer is the fastest way to get rolling with machine learning, literally. Get hands-on with a fully autonomous 1/18th scale race car driven by reinforcement learning, 3D racing simulator, and a global racing league. December 12, 2018 | 01:00 PM – 02:00 PM PT – Introduction to Amazon Forecast and Amazon Personalize – Learn about Amazon Forecast and Amazon Personalize – what are the key features and benefits of these managed ML services, common use cases and how you can get started. December 13, 2018 | 01:00 PM – 02:00 PM PT – Introduction to Amazon Textract: Now in Preview – Learn how Amazon Textract, now in preview, enables companies to easily extract text and data from virtually any document. December 17, 2018 | 01:00 PM – 02:00 PM PT – Introduction to AWS Transit Gateway – Learn how AWS Transit Gateway significantly simplifies management and reduces operational costs with a hub and spoke architecture. December 18, 2018 | 11:00 AM – 12:00 PM PT – Introduction to AWS RoboMaker, a New Cloud Robotics Service – Learn about AWS RoboMaker, a service that makes it easy to develop, test, and deploy intelligent robotics applications at scale. December 17, 2018 | 09:00 AM – 10:00 AM PT – Introduction to AWS Security Hub – Learn about AWS Security Hub, and how it gives you a comprehensive view of high-priority security alerts and your compliance status across AWS accounts. December 11, 2018 | 11:00 AM – 12:00 PM PT – What’s New with Serverless at AWS – In this tech talk, we’ll catch you up on our ever-growing collection of natively supported languages, console updates, and re:Invent launches. December 13, 2018 | 11:00 AM – 12:00 PM PT – Building Real Time Applications using WebSocket APIs Supported by Amazon API Gateway – Learn how to build, deploy and manage APIs with API Gateway. December 12, 2018 | 09:00 AM – 10:00 AM PT – Introduction to Amazon FSx for Windows File Server – Learn about Amazon FSx for Windows File Server, a new fully managed native Windows file system that makes it easy to move Windows-based applications that require file storage to AWS. December 14, 2018 | 01:00 PM – 02:00 PM PT – What’s New with AWS Storage – A Recap of re:Invent 2018 Announcements – Learn about the key AWS storage announcements that occurred prior to and at re:Invent 2018. With 15+ new service, feature, and device launches in object, file, block, and data transfer storage services, you will be able to start designing the foundation of your cloud IT environment for any application and easily migrate data to AWS. December 18, 2018 | 09:00 AM – 10:00 AM PT – Introduction to Amazon FSx for Lustre – Learn about Amazon FSx for Lustre, a fully managed file system for compute-intensive workloads. Process files from S3 or data stores, with throughput up to hundreds of GBps and sub-millisecond latencies. December 18, 2018 | 01:00 PM – 02:00 PM PT – Introduction to New AWS Services for Data Transfer – Learn about new AWS data transfer services, and which might best fit your requirements for data migration or ongoing hybrid workloads. Featured this month! Check out the tech talks: Virtual Hands-On Workshop: Amazon Elasticsearch Service – Analyze Your CloudTrail Logs, AWS re:Invent: Know Before You Go and AWS Office Hours: Amazon GuardDuty Tips and Tricks. 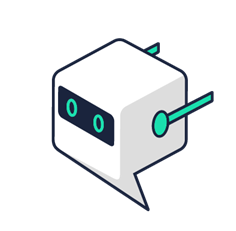 November 13, 2018 | 11:00 AM – 12:00 PM PT – How to Create a Chatbot Using Amazon Sumerian and Sumerian Hosts – Learn how to quickly and easily create a chatbot using Amazon Sumerian & Sumerian Hosts. November 19, 2018 | 11:00 AM – 12:00 PM PT – Using Amazon Lightsail to Create a Database – Learn how to set up a database on your Amazon Lightsail instance for your applications or stand-alone websites. November 21, 2018 | 09:00 AM – 10:00 AM PT – Save up to 90% on CI/CD Workloads with Amazon EC2 Spot Instances – Learn how to automatically scale a fleet of Spot Instances with Jenkins and EC2 Spot Plug-In. November 13, 2018 | 09:00 AM – 10:00 AM PT – Customer Showcase: How Portal Finance Scaled Their Containerized Application Seamlessly with AWS Fargate – Learn how to scale your containerized applications without managing servers and cluster, using AWS Fargate. November 14, 2018 | 11:00 AM – 12:00 PM PT – Customer Showcase: How 99designs Used AWS Fargate and Datadog to Manage their Containerized Application – Learn how 99designs scales their containerized applications using AWS Fargate. November 21, 2018 | 11:00 AM – 12:00 PM PT – Monitor the World: Meaningful Metrics for Containerized Apps and Clusters – Learn about metrics and tools you need to monitor your Kubernetes applications on AWS. November 12, 2018 | 01:00 PM – 01:45 PM PT – Search Your DynamoDB Data with Amazon Elasticsearch Service – Learn the joint power of Amazon Elasticsearch Service and DynamoDB and how to set up your DynamoDB tables and streams to replicate your data to Amazon Elasticsearch Service. November 13, 2018 | 01:00 PM – 01:45 PM PT – Virtual Hands-On Workshop: Amazon Elasticsearch Service – Analyze Your CloudTrail Logs – Get hands-on experience and learn how to ingest and analyze CloudTrail logs using Amazon Elasticsearch Service. November 14, 2018 | 01:00 PM – 01:45 PM PT – Best Practices for Migrating Big Data Workloads to AWS – Learn how to migrate analytics, data processing (ETL), and data science workloads running on Apache Hadoop, Spark, and data warehouse appliances from on-premises deployments to AWS. November 15, 2018 | 11:00 AM – 11:45 AM PT – Best Practices for Scaling Amazon Redshift – Learn about the most common scalability pain points with analytics platforms and see how Amazon Redshift can quickly scale to fulfill growing analytical needs and data volume. November 12, 2018 | 11:00 AM – 11:45 AM PT – Modernize your SQL Server 2008/R2 Databases with AWS Database Services – As end of extended Support for SQL Server 2008/ R2 nears, learn how AWS’s portfolio of fully managed, cost effective databases, and easy-to-use migration tools can help. November 16, 2018 | 09:00 AM – 09:45 AM PT – Build and Orchestrate Serverless Applications on AWS with PowerShell – Learn how to build and orchestrate serverless applications on AWS with AWS Lambda and PowerShell. November 19, 2018 | 01:00 PM – 02:00 PM PT – Work Without Workstations with AppStream 2.0 – Learn how to work without workstations and accelerate your engineering workflows using AppStream 2.0. November 19, 2018 | 09:00 AM – 10:00 AM PT – Enterprise DevOps: New Patterns of Efficiency – Learn how to implement “Enterprise DevOps” in your organization through building a culture of inclusion, common sense, and continuous improvement. November 20, 2018 | 11:00 AM – 11:45 AM PT – Are Your Workloads Well-Architected? – Learn how to measure and improve your workloads with AWS Well-Architected best practices. November 16, 2018 | 01:00 PM – 02:00 PM PT – Pushing Intelligence to the Edge in Industrial Applications – Learn how GE uses AWS IoT for industrial use cases, including 3D printing and aviation. November 12, 2018 | 09:00 AM – 09:45 AM PT – Automate for Efficiency with Amazon Transcribe and Amazon Translate – Learn how you can increase efficiency and reach of your operations with Amazon Translate and Amazon Transcribe. November 20, 2018 | 01:00 PM – 02:00 PM PT – GraphQL Deep Dive – Designing Schemas and Automating Deployment – Get an overview of the basics of how GraphQL works and dive into different schema designs, best practices, and considerations for providing data to your applications in production. November 9, 2018 | 08:00 AM – 08:30 AM PT – Episode 7: Getting Around the re:Invent Campus – Learn how to efficiently get around the re:Invent campus using our new mobile app technology. Make sure you arrive on time and never miss a session. November 14, 2018 | 08:00 AM – 08:30 AM PT – Episode 8: Know Before You Go – Learn about all final details you need to know before you arrive in Las Vegas for AWS re:Invent! November 16, 2018 | 11:00 AM – 12:00 PM PT – AWS Office Hours: Amazon GuardDuty Tips and Tricks – Join us for office hours and get the latest tips and tricks for Amazon GuardDuty from AWS Security experts. November 14, 2018 | 09:00 AM – 10:00 AM PT – Serverless Workflows for the Enterprise – Learn how to seamlessly build and deploy serverless applications across multiple teams in large organizations. November 15, 2018 | 01:00 PM – 01:45 PM PT – Move From Tape Backups to AWS in 30 Minutes – Learn how to switch to cloud backups easily with AWS Storage Gateway. November 20, 2018 | 09:00 AM – 10:00 AM PT – Deep Dive on Amazon S3 Security and Management – Amazon S3 provides some of the most enhanced data security features available in the cloud today, including access controls, encryption, security monitoring, remediation, and security standards and compliance certifications. Containers are emerging as the default compute primitive for building cloud-native applications. They facilitate the adoption of continuous delivery, and help increase infrastructure use. However, deploying stateful application as containers has been challenging because containers have short life-spans, get re-deployed frequently, are scaled up and down dynamically, and often share the same host with other containers. All of these factors make it challenging for you to appropriately align the lifecycles of storage volumes and containers. Before Docker volume driver support was added to Amazon ECS, you had to manage storage volumes manually using custom tooling such as bash scripts, Lambda functions, or manual configuration of Docker volumes. Now, you can now take full advantage of the Docker plugin ecosystem by using popular plugins such as REX-Ray or Portworx. To support this broad array of use cases, ECS offers you the flexibility to configure the lifecycle of the Docker volume. For example, you can specify whether it is a scratch space volume specific to a single instantiation of a task, or a persistent volume that persists beyond the lifecycle of a unique instantiation of the task. You can also choose to use a Docker volume that you’ve created before launching your task. In addition to managing the Docker volume configuration and lifecycle, the ECS scheduler is now plugin-aware. ECS takes the availability of the requested driver into account in its placement decisions, so that tasks that require a certain driver are only placed on container instances that have the driver installed. Docker volumes are a way to persist data outside of the lifecycle of a container. Containers themselves are made up of multiple immutable layers of storage with an ephemeral layer, which is read/write. If your application writes files to the ephemeral layer, these changes are lost when the container stops. Volumes are managed outside of the container lifecycle—stopping or removing the container does not remove the volume. Docker also supports volume drivers that allow you to use volumes as an abstraction between containers and persistent storage such as Amazon EBS or Amazon EFS. By default, Docker provides a driver called ‘local’ that provides local storage volumes to containers. With Docker plugins, you can now add volume drivers to provision and manage EBS and EFS storage, such as REX-Ray, Portworx, and NetShare. To deploy a stateful application such as Cassandra, MongoDB, Zookeeper, or Kafka, you likely need high-performance persistent storage like EBS. Docker volumes allow you to present an EBS volume to your application as a Docker volume. 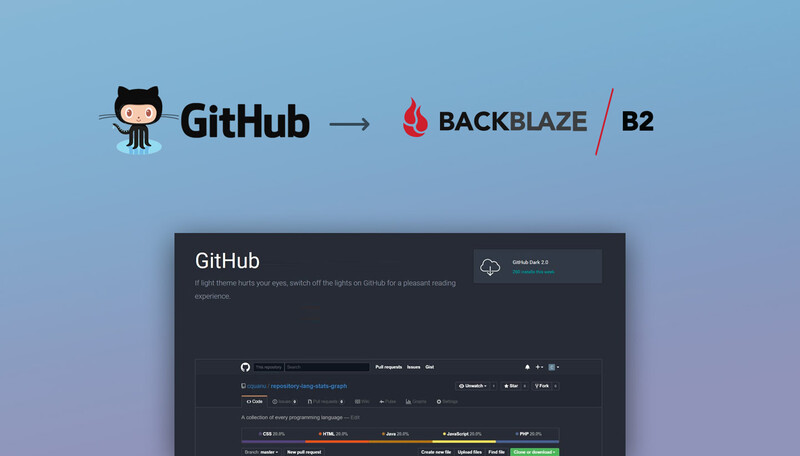 There are other applications such as Jenkins and GitLab, where multiple copies of the application need access to the same data. With volume drivers and EFS, you can present EFS as a shared volume to multiple instances of your container so that you can scale your application yet still retain and persist shared data on EFS. Another overlooked use case involves applications that need scratch space. When you define a task in ECS and your application writes to the filesystem inside of the container (not on a Docker volume), the task consumes space on the underlying EC2 instance that is shared by all other running tasks. This can lead to issues of ‘noisy neighbors’ if a task were to write a bunch of data to /tmp on its local filesystem. Now with Docker volume support in ECS, you can map an EBS volume to /tmp (or whatever your scratch space directory you prefer). You can ensure good performance while limiting the size of the underlying EBS volume using arguments in your ECS task to the volume driver. REX-Ray is just one example of a Docker volume driver plugin that provides an abstraction between Docker volumes and the underlying storage. Built on top of the libStorage framework, REX-Ray’s simplified architecture consists of a single binary. It runs as a stateless service on every host, using a configuration file to orchestrate multiple storage platforms. REX-Ray supports multiple storage backends. For this post, we focus on EBS as a storage backend. Part two of this series focuses on EFS. Using a plugin such as REX-Ray, your Docker container is able to persist data outside of the lifespan of a running container. You don’t have to worry about the underlying storage. Instead, you simply reference a Docker volume in your task definition and let REX-Ray provide the abstraction. While this post is specific to REX-Ray, ECS is designed to be open and pass through the volume driver arguments from your task definition to Docker. You can use any volume driver (such as Portworx) that is supported by Docker. Before you can get started using Docker volumes with ECS, there are a few things you need to do. First, you need a suitable volume driver plugin, such as REX-Ray, to provide an abstraction between the Docker volume and the underlying storage, for example, EBS or EFS. Docker designed volumes and the associated driver mechanism to be pluggable to support a variety of storage backends. Although we’ve chosen to highlight REX-Ray for this post, there are several others to choose from, including Portworx and NetShare. 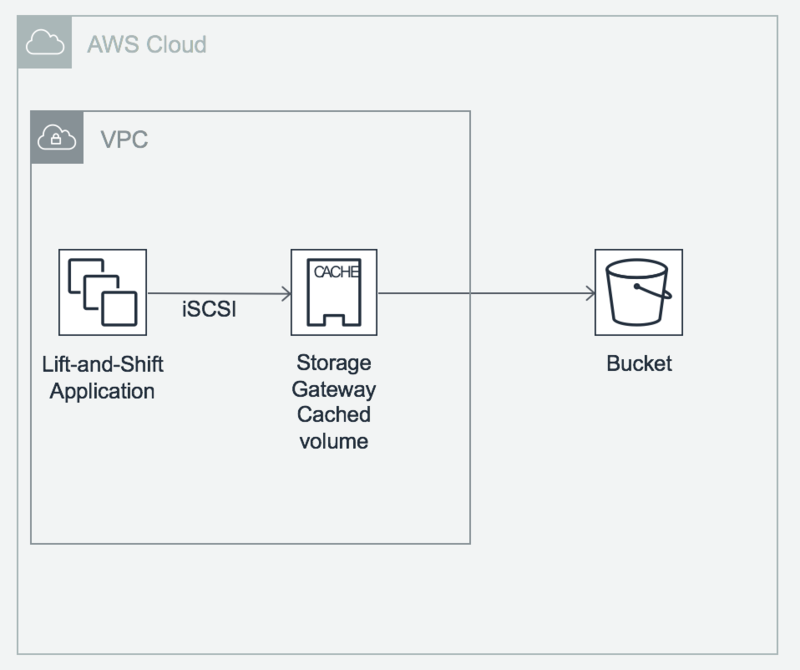 Because the volume plugin interacts with the AWS storage services on your behalf, an IAM role has to be assigned to the ECS container instances. This allows REX-Ray to issue the appropriate AWS API calls and perform actions such as attaching and detaching EBS volumes, and so on. To help you get started, we’ve created an AWS CloudFormation template that builds a two-node ECS cluster. The template bootstraps the rexray/ebs volume driver onto each node and assigns them an IAM role with an inline policy that allows them to call the API actions that REX-Ray needs. The template also creates a Network Load Balancer, which is used to expose an ECS service to the internet. Finally, you create a task definition for a stateful service—MySQL—that uses the the rexray/ebs driver. Observe how the volume where MySQL stores its data is moved when the MySQL task is scheduled on another instance in the cluster. Here’s how to set up the environment for this walkthrough. The ECS container instances are bootstrapped using the following script, which is given as user data in rexyray-demo.json. This shell script exports the output parameters from the CloudFormation template and imports them as OS environment variables. You use these variables later to create task and service definitions. echo "usage: source <(./get-outputs.sh <stackname-or-stackid> <region>)"
Export the output parameters. The region parameter is only needed if your Region configuration is not us-west-2, as defined in the CloudFormation template. In this step, you create a task definition for MySQL. MySQL is considered stateful service because the data stored in the database has to persist beyond the life of the task. When the MySQL task is restarted on another instance in the cluster, the scheduler and the rexray/ebs plugin ensure that the task is launched on an instance that can re-establish a connection to the EBS volume where the database is stored. The placement constraint in the task definition informs the ECS service scheduler to launch the task in a specific Availability Zone; the available zone where the EBS volume was originally created. Such a constraint is necessary because instances cannot connect to volumes in a different Availability Zone. Docker volumes support adds several new the parameters to the ECS task definition. These include the volume type, scope, drivers, and Docker options and labels. A volume can either be scoped to a single, specific task or it can be shared among multiple tasks. When a volume is scoped to a task, it is not meant to be shared across different running tasks. In contrast, a shared volume is for use cases where the volume lifecycle is independent of the ECS task. The volume can be used by different tasks concurrently or at different times. It is primarily intended for use cases such as single-task applications where the volume persists after the task dies and is re-used when the task starts again. Another use case is when multiple tasks on the same EC2 container instance access the volume concurrently. The driver options are used to configure the type of EBS storage use, for example, gp2, standard, io1, and so on, the size of the volume to provision, IOPS, and encryption. The specific options vary depending on the volume plugin that you are using. In this step, you create a service definition for MySQL. An ECS service is a long running task that is monitored by the service scheduler. If the task dies or becomes unhealthy, the scheduler automatically attempts to restart the task. The MySQL service is fronted by a Network Load Balancer that is configured for forward traffic on port 3306 to the tasks registered with a specific target group. The desired count is the desired number of task copies to run. The minimum and maximum healthy percent parameters inform the scheduler to only run exactly the number of desired copies of this task at a time. Unless a task has been stopped, it does not try starting a new one. For Connection Name, type “rexray-demo”. For Hostname, copy and paste the DNS name of the Network Load Balancer. For Password, type the default password found in the mysql-taskdef.json file. Under MySQL Connections, open the rexray-demo connection. You can execute each line separately by placing the cursor on a line and clicking the execute statement button. Now that you have a running MySQL database server running under a container and persisting its data, make sure that it will survive a container replacement. Docker containers by their nature are designed to be ephemeral. If you upgrade the underlying host operating system, you must drain the tasks off of the instance and let them be re-scheduled onto another ECS host. Below, I show the behavior of persisting the MySQL instance’s data to an EBS volume and allowing the task to be re-scheduled. The following script identifies the instance that is currently running the task and puts it in a draining state. 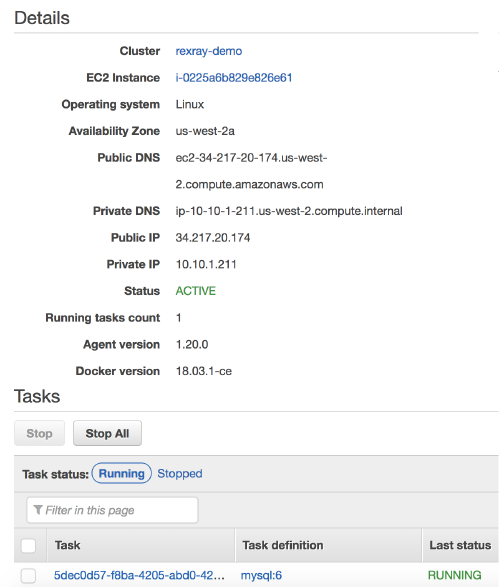 This forces the task to be rescheduled onto the other EC2 container instance in the cluster. echo "Container Instance ARNs [$ContainerInstanceArns]"
When you run the script, the tasks on the draining instance are stopped. Because you have an ECS service definition for MySQL, ECS launches new tasks on other ECS instances in the cluster that meet the placement constraints. In this example, you placed a constraint on the Availability Zone of the EBS volume as it’s not possible to detach and re-attach volumes across Availability Zones. Because the volume already exists, REX-Ray attaches the existing volume to the new task. When MySQL starts, it sees this as its data volume and you have access to the recently stored data. You may get an error message stating “The MySQL server has gone away.” This usually means that the new ECS task has not completed starting or hasn’t been registered yet as a healthy target behind the Network Load Balancer. If you wait a little longer and try again, you should see the same results in the query grid as before. This environment is meant as a demonstration on how to use Docker volume plugins with ECS for supporting persistent workloads. For an actual production implementation, I recommend scoping the VPC and security groups to only allow network access from trusted resources. This post creates a MySQL server that is accessible from the internet. In addition, you should implement your own strong MySQL root password, among other things. To clean up this demo, take the following steps. Even though you deleted the task and the service, you still need to clean up the EBS volume that you created. You created this volume and referenced it in the ECS task definition. ECS passed this information along to Docker running on the host, which in turn handed it to REX-Ray (your volume driver), which knew how to attach the EBS volume and map it to the container. The easiest way to delete this volume is from the EC2 console. In the list of volumes, you should see a volume named rexray-vol that is unattached (state=available). Delete this volume as it is no longer needed. Lastly, delete the CloudFormation template. This removes the rest of the environment that was pre-created for this exercise. While it was possible to use Docker volume plugins with ECS previously, doing so required you to create volumes out of band, that is, outside of ECS, and create placement constraints to restrict where tasks could be run. With native support for Docker volumes, volumes can now be provisioned simply by adding a handful of parameters to an ECS task definition. Moreover, the ECS scheduler is now volume plugin aware. Instances that have a volume driver installed on them automatically get annotated with attributes that inform the scheduler where to place tasks that use a particular driver. 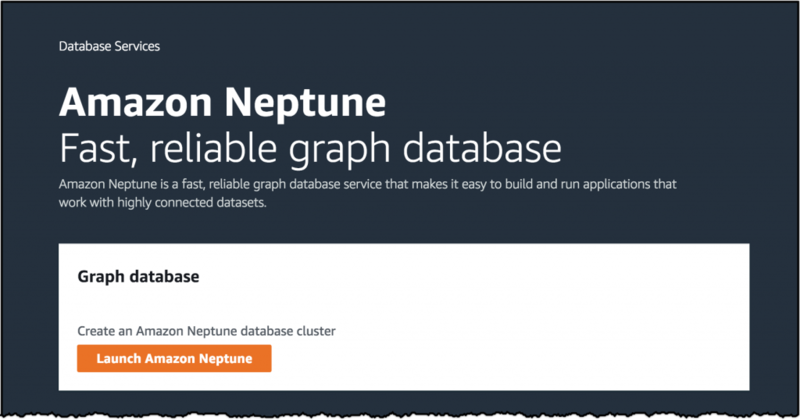 Together, these features help you to run stateful, storage intensive applications such as databases, machine learning, and data processing applications, streaming applications like Kafka, as well as applications that need additional scratch space. We look forward to hearing about the use cases that this new feature enables. Join us this month to learn about AWS services and solutions featuring topics on Amazon EMR, Amazon SageMaker, AWS Lambda, Amazon S3, Amazon WorkSpaces, Amazon EC2 Fleet and more! We also have our third episode of the “How to re:Invent” where we’ll dive deep with the AWS Training and Certification team on Bootcamps, Hands-on Labs, and how to get AWS Certified at re:Invent. Register now! We look forward to seeing you. Please note – all sessions are free and in Pacific Time. July 23, 2018 | 11:00 AM – 12:00 PM PT – Large Scale Machine Learning with Spark on EMR – Learn how to do large scale machine learning on Amazon EMR. July 25, 2018 | 01:00 PM – 02:00 PM PT – Introduction to Amazon QuickSight: Business Analytics for Everyone – Get an introduction to Amazon Quicksight, Amazon’s BI service. July 26, 2018 | 11:00 AM – 12:00 PM PT – Multi-Tenant Analytics on Amazon EMR – Discover how to make an Amazon EMR cluster multi-tenant to have different processing activities on the same data lake. July 31, 2018 | 11:00 AM – 12:00 PM PT – Accelerate Machine Learning Workloads Using Amazon EC2 P3 Instances – Learn how to use Amazon EC2 P3 instances, the most powerful, cost-effective and versatile GPU compute instances available in the cloud. August 1, 2018 | 09:00 AM – 10:00 AM PT – Technical Deep Dive on Amazon EC2 Fleet – Learn how to launch workloads across instance types, purchase models, and AZs with EC2 Fleet to achieve the desired scale, performance and cost. July 25, 2018 | 11:00 AM – 11:45 AM PT – How Harry’s Shaved Off Their Operational Overhead by Moving to AWS Fargate – Learn how Harry’s migrated their messaging workload to Fargate and reduced message processing time by more than 75%. July 23, 2018 | 01:00 PM – 01:45 PM PT – Purpose-Built Databases: Choose the Right Tool for Each Job – Learn about purpose-built databases and when to use which database for your application. July 24, 2018 | 11:00 AM – 11:45 AM PT – Migrating IBM Db2 Databases to AWS – Learn how to migrate your IBM Db2 database to the cloud database of your choice. July 25, 2018 | 09:00 AM – 09:45 AM PT – Optimize Your Jenkins Build Farm – Learn how to optimize your Jenkins build farm using the plug-in for AWS CodeBuild. July 31, 2018 | 09:00 AM – 09:45 AM PT – Enable Developer Productivity with Amazon WorkSpaces – Learn how your development teams can be more productive with Amazon WorkSpaces. August 1, 2018 | 11:00 AM – 11:45 AM PT – Enterprise DevOps: Applying ITIL to Rapid Innovation – Innovation doesn’t have to equate to more risk for your organization. Learn how Enterprise DevOps delivers agility while maintaining governance, security and compliance. July 30, 2018 | 01:00 PM – 01:45 PM PT – Using AWS IoT & Alexa Skills Kit to Voice-Control Connected Home Devices – Hands-on workshop that covers how to build a simple backend service using AWS IoT to support an Alexa Smart Home skill. July 23, 2018 | 09:00 AM – 09:45 AM PT – Leveraging ML Services to Enhance Content Discovery and Recommendations – See how customers are using computer vision and language AI services to enhance content discovery & recommendations. July 24, 2018 | 09:00 AM – 09:45 AM PT – Hyperparameter Tuning with Amazon SageMaker’s Automatic Model Tuning – Learn how to use Automatic Model Tuning with Amazon SageMaker to get the best machine learning model for your datasets, to tune hyperparameters. July 26, 2018 | 09:00 AM – 10:00 AM PT – Build Intelligent Applications with Machine Learning on AWS – Learn how to accelerate development of AI applications using machine learning on AWS. July 18, 2018 | 08:00 AM – 08:30 AM PT – Episode 3: Training & Certification Round-Up – Join us as we dive deep with the AWS Training and Certification team on Bootcamps, Hands-on Labs, and how to get AWS Certified at re:Invent. July 30, 2018 | 11:00 AM – 11:45 AM PT – Get Started with Well-Architected Security Best Practices – Discover and walk through essential best practices for securing your workloads using a number of AWS services. July 24, 2018 | 01:00 PM – 02:00 PM PT – Getting Started with Serverless Computing Using AWS Lambda – Get an introduction to serverless and how to start building applications with no server management. July 30, 2018 | 09:00 AM – 09:45 AM PT – Best Practices for Security in Amazon S3 – Learn about Amazon S3 security fundamentals and lots of new features that help make security simple.